You are warmly invited to the annual ‘Gorol Days’, a festival where you can try out folk crafts and find out more about local products, customs and culture. Mosty u Jablunkova can be found easily: It is situated at the very east part of the Czech republic, in the Moravian-Silesian region, bordering with three states-Czech republic, Poland and Slovakia.The town has around 4,000 inhabitants and extends over a length of 8 km. Why not take a trip along the Czech-Slovak border – see the historic Šance fortifications and marvel at the strange stone ‘balls’ in the Megoňky quarry. Beautiful countryside, superb local specialities and an active way to relax for all the family. For all this and more, come to the Mosty Ski Centre, which is open all year round and offers both adrenaline sports and relaxing family activities. 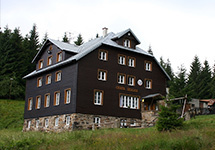 The hills and mountains around Mosty u Jablunkova offer ideal conditions for trekking and mountain biking. There is a network of marked cycle paths leading up to the summits of local mountains, where chalets offer delicious refreshments. GOTIC is a municipally funded organization established on 18 August 2008 by the town of Mosty u Jablunkova. It currently has three employees. 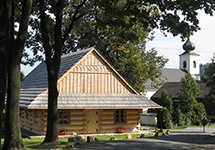 In 2009 the Information Centre was awarded a certificate from the Czech Tourism agency making it an officially approved information centre and giving it the right to operate under a registered name. In 2012 GOTIC will apply for membership in the Association of Tourist Information Centres of the Czech Republic. GOTIC is listed (under the official title ‘GOTIC, příspěvková organizace’) in the Register of Companies held at the Ostrava Regional Court (section Pr, file 1086). GOTIC is not a VAT payer. Company identification number: 75143364.
rental of premises for weddings, meetings, lectures, exhibitions etc. For more information on regional products, go to the section ‘Regional Products’. GOTIC offers standard information and promotional services. The workers are willing to help with the planning of hiking or biking trips, help with the selection of suitable trails, recommend suitable accommodation or food services etc. Not just out of office hours you can use modern technology such as an infobox or mobile guide. Those who are interested can download it to their phone using Bluetooth or WiFi and get interesting information from the whole Teschen Beskids, including events. There is a special offer at IC within a product Bikeland Goralia prepared for bikers: a route map is available for mountain bikes, they can hire cycling tools or buy cycling inner tubes. The Client MTB card free of charge is also available. 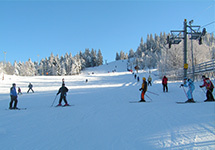 The card authorizes the use of discounts at various places in Teschen Beskids. In Mosty u Jablunkova and surrounding areas live many folk artists who follow the art of ancestors and are dedicated to traditional crafts. Thanks to their cooperation with Goral tourist information center can meet with their art not only tourists but even local people who like to recall times long past. In the shop of regional products leather belts, leather shoes and straps, carved wooden statues, traditional pottery, paintings, wire products, products made of honey and many other cute souvenirs are available or one can order items too. The offer is completed by postcards, maps and books. The tourist information centre offers also a tourist mark for collectors and trading cards Way to the Stars. There is also a notebook for the observance of international tourist badge BESKY(I)DY for purchase. Distinctive goral folklore reveals much about the life of former mountaineer. Thanks to the position on the tri-border area the regional traditions of Czech Republic, Poland and Slovakia are strongly rooted here. A small reminder of old forgotten times is a one day event called “gorals days” in a wooden hut. The information centre organizes this event here especially in the summer season, but do not forget even the Christmas and Easter theme. Visitors can try out these ancient crafts such as wool processing and production of sheep products, beekeeping, woodwork, spinning on a potter's wheel, work with wire, etc during these events. Tourists can taste traditional dishes, learn about regional habits, and make themselves a souvenir. Outside the main tourist season GOTIC holds courses in crafts in wooden hut. The public is getting acquainted with the basics of traditional techniques and as reward serves a self made product, which will certainly surprise their loved ones. 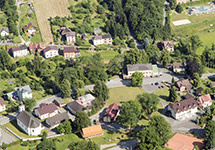 The Information Centre is also the organizer of cultural events and concerts in the village. Attractive rooms of wooden hut at Fojtství certainly invite to organizing of interesting events and meetings. Attic spaces are frequently used by artists that are exhibiting their works. Under the auspices of GOTIC happens an exhibition of photographs, paintings and art objects every month here. On the ground floor at an area of ​​70 m2 it is possible to organize workshops, lectures and seminars and also get married. The Information Centre in Mosty u Jablunkova is open all year on weekdays and on Saturdays. During the holidays it is also open on Sundays. GOTIC is certified for the period 12.11.2013-12.11.2015 and evaluation Mystery Shoping acquired in 2013 EXCELLENT rating! Do I know you? Let‘s get to know each other! "This website was created and is updated through the financial support of the Moravian-Silesian Region, program support tourist informationc centres."